The Ontario Institute for Catholic Education brings together, works with, and assists organizations that share responsibility for English Catholic education in their efforts to promote and maintain publicly-funded Catholic schools animated by the Gospel and reflecting the tenets of the Catholic faith. To foster a common vision on issues and policies that promotes and protects Catholic education. To enhance collaboration among the partners in the English Catholic educational community. 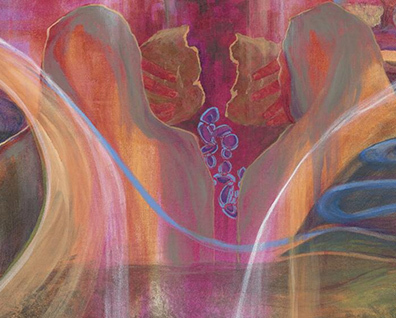 To maintain effective liaison with our francophone partners in Catholic education as together we strive to maintain, foster and develop the special characteristics of Catholic education. To keep alive the historical contribution to Catholic education of religious communities of both men and women. To participate, when requested and with the agreement of all the partners, in discussions with the other churches or religious groups in Ontario regarding their views and positions on religious education. To arrange periodic gatherings of representatives from every sector of the Catholic education community for the purpose of exploring together contemporary issues in Catholic education. To coordinate the work of Catholic associations and organizations in writing Catholic curriculum within the parameters established by the Ministry of Education. To develop material in Religious Education and related areas under the guidance and in the name of the Assembly of Catholic Bishops of Ontario (Ontario Conference of Catholic Bishops). To develop foundational documents in Catholic educational practice. 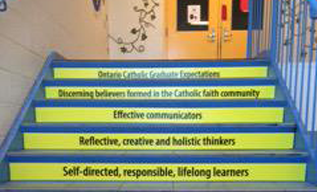 To outline programs for pre-service and in-service education of Catholic teachers and promote them with the Ontario faculties of education, College of Teachers and Ministry of Education. To work with all organizations which provide professional development opportunities for persons in leadership positions or aspiring to leadership positions in the Ontario Catholic education system. To share with all members the results of research carried out by member associations to which access is available. To consider research proposals related to Catholic education at the ICE table and vote on them with regard to implementation and funding.